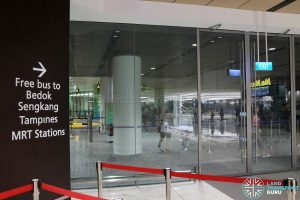 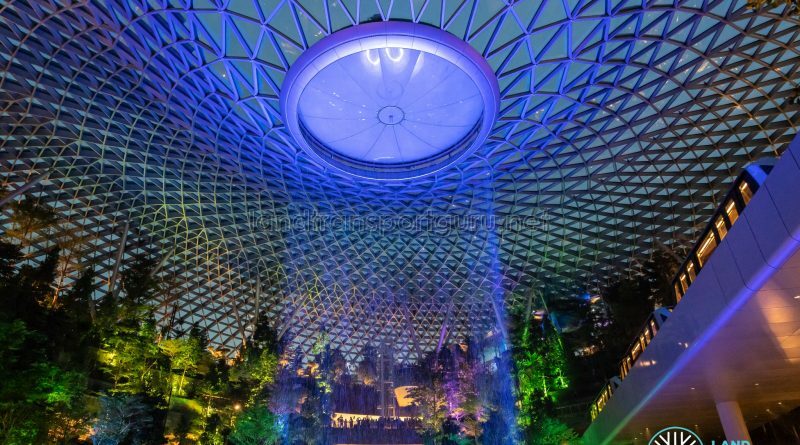 Jewel Changi Airport officially opened to the public on 17 April 2019, after 6 days of Preview from 11 – 16 April 2019. 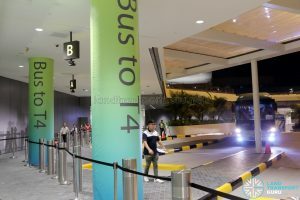 A two-way Shuttle Bus will operate between Jewel and Changi Airport Terminal 4. 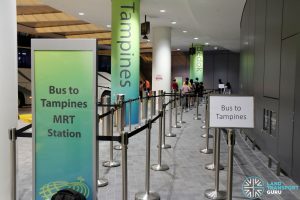 One-way Shuttle Buses will also operate from Jewel to Bedok, Tampines and Sengkang MRT Stations. 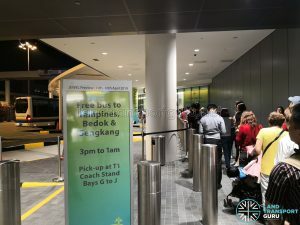 These services are provided for free and will operate from 11 to 21 April 2019. 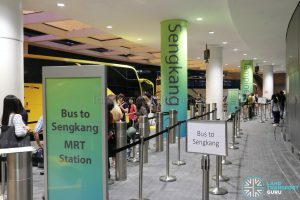 Operating details can be found below. 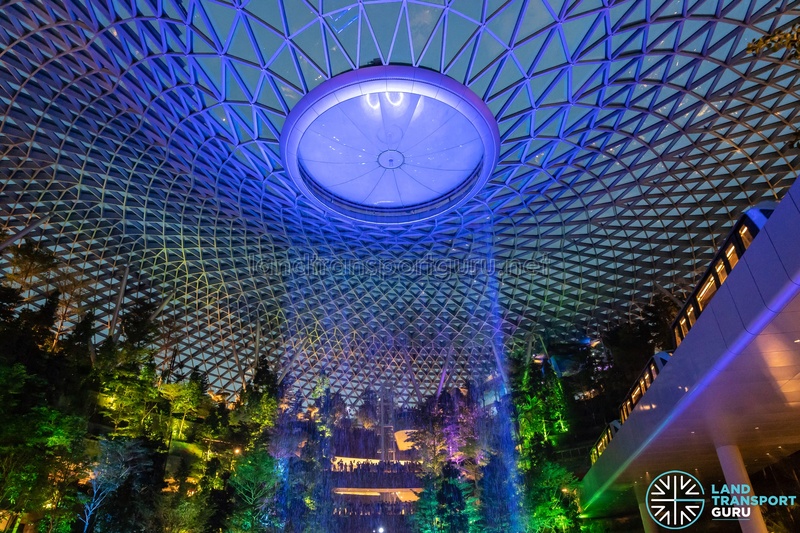 Jewel can be easily accessed using walkways leading from Changi Airport Terminals 1, 2 and 3 and Changi Airport MRT Station. 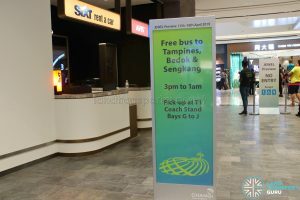 Alternatively, visitors can also take public buses 24, 27, 34, 36, 53, 110, 858 to Changi Airport Terminal 1. 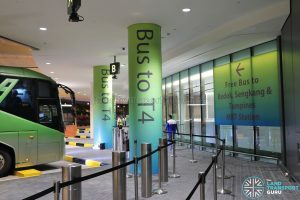 The Terminal 4 to Jewel Shuttle Bus Service caters to guests whom park their car at Changi Airport Terminal 4 Car Park 4A & 4B. 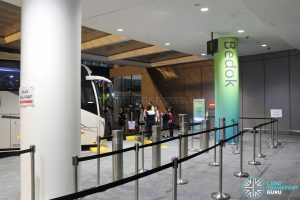 Two variants are operated, with buses picking up / dropping off guests at either the Terminal 4 Arrival Hall – South Taxi Stand (Level 1) or the Terminal 4 Coach Bay. 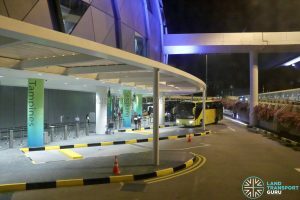 The Pick Up Point can be accessed via Level 1 of Jewel, next to the Early Check In Area. 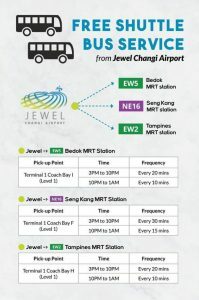 One-way bus services are available from Jewel to 3 MRT Station in the Heartlands for the convenience of visitors. 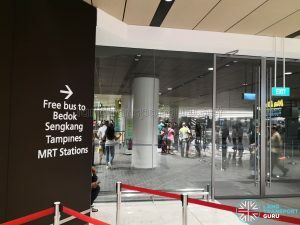 No boarding is allowed at Tampines, Bedok & Sengkang MRT Stations.